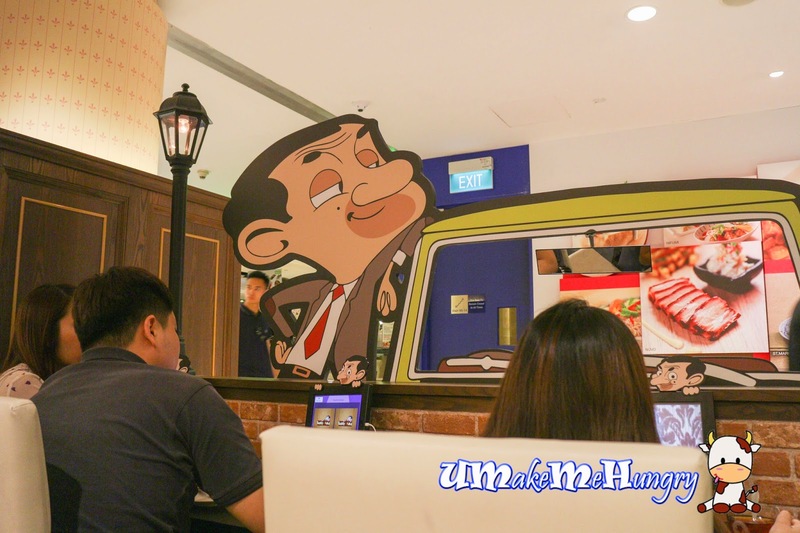 Fans of Rowan Atkinson, actor of the British comedy Series Mr Bean is now able to enjoy snacks and beverages at Marina Square's Teddy & Me, a themed cafe conceptualized after Mr Bean and his favourite bear. And just right above the cupboard at the entrance, we are greeted a warm welcome by his Teddy which has its head pops out of the suitcase! 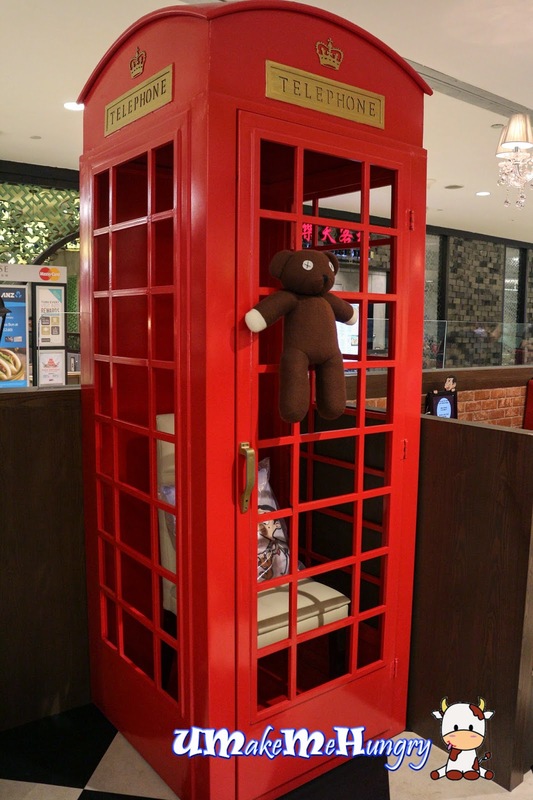 And with just a few steps into the cafe, there is this Gigantic red British Telephone Booth, also with his teddy hanging at the door, making up part of its theme. 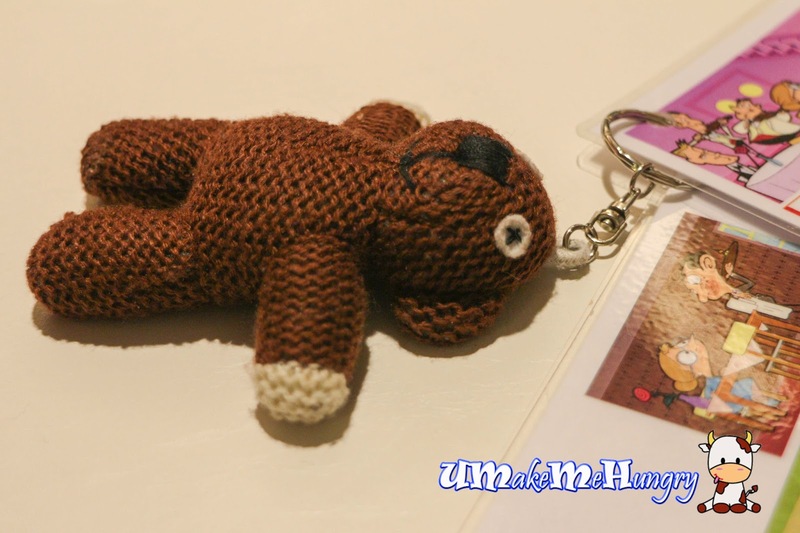 With its theme revolving around Mr Bean and his teddy, every menu has been chained to its little bear. 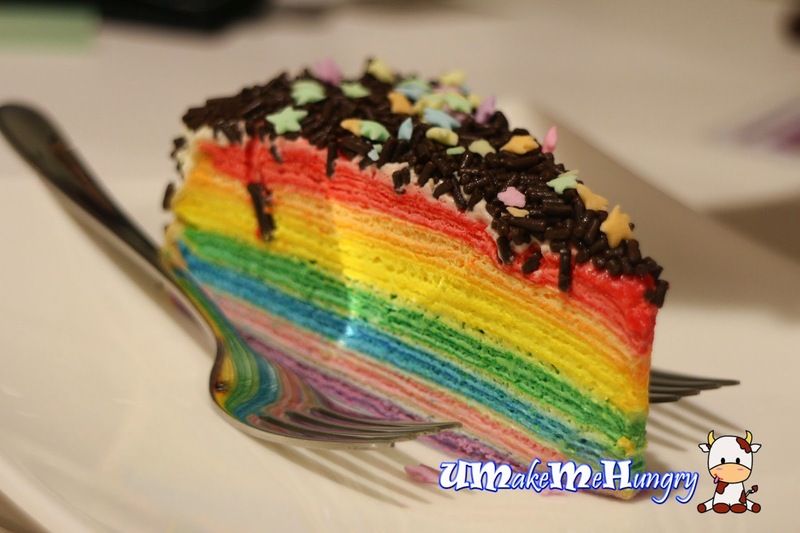 The 4 pages menu was colorful offering light snacks, desserts as well as beverages. 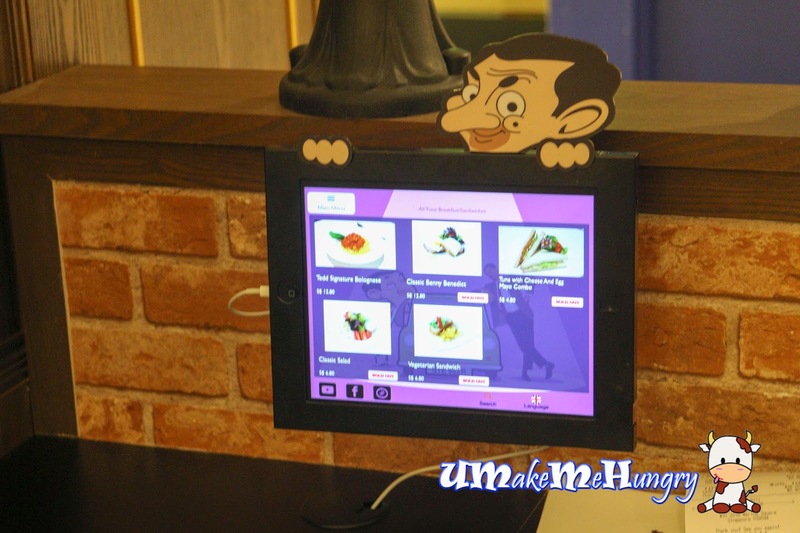 Apart from enjoying the food and its themed environment, customers can also surf the internet with iPads provided at each table or even charge their phones at the counter too. What's more the series of his comedies are available in the devices too. With numerous displays at different spots in the cafe, it does work out like a mini Mr Bean Museum with collectables and his displays. "selfies" or even "wefies" are often seen taken. 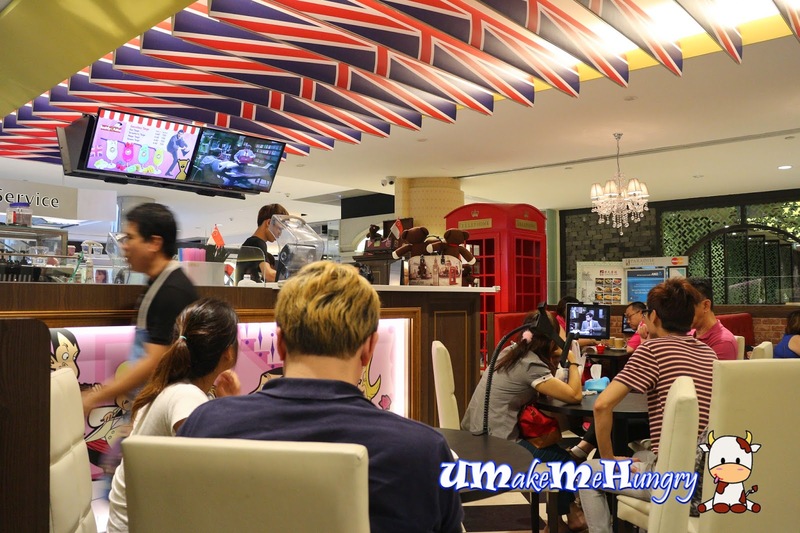 It is rather narrow in the cafe and moving about the aisles isnt a simple task, do be careful when taking pictures. Well crafted in delicate thin layers with light fresh cream sandwich between them. 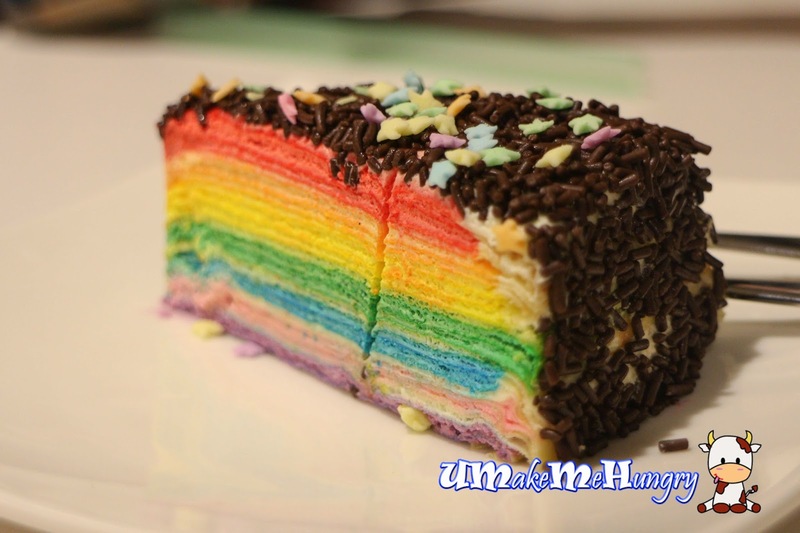 The taste was refreshing at a perfect sweetness with chocolate rice and stars topped the rainbow cake. The presentation is such a charm! Really "Beantastic" and irresistible! 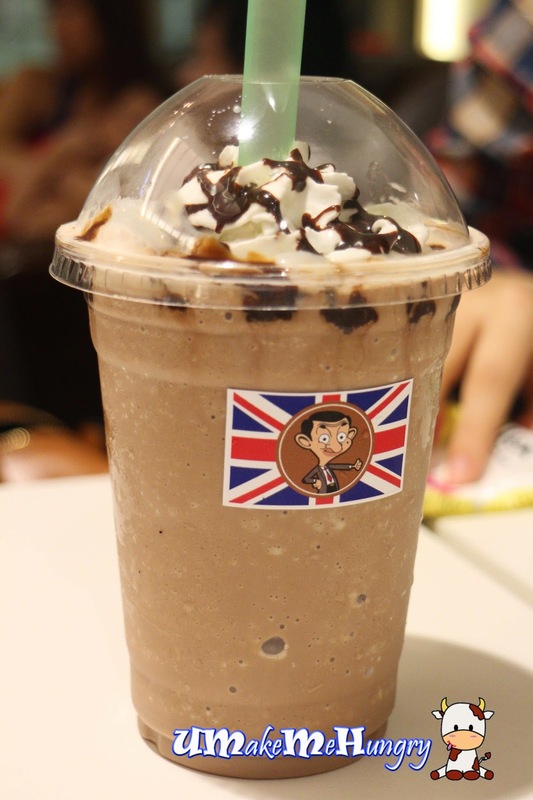 Rich in chocolate and cream, this cup of ice blended beverage is definitely a cooler to the soaring sunny day. 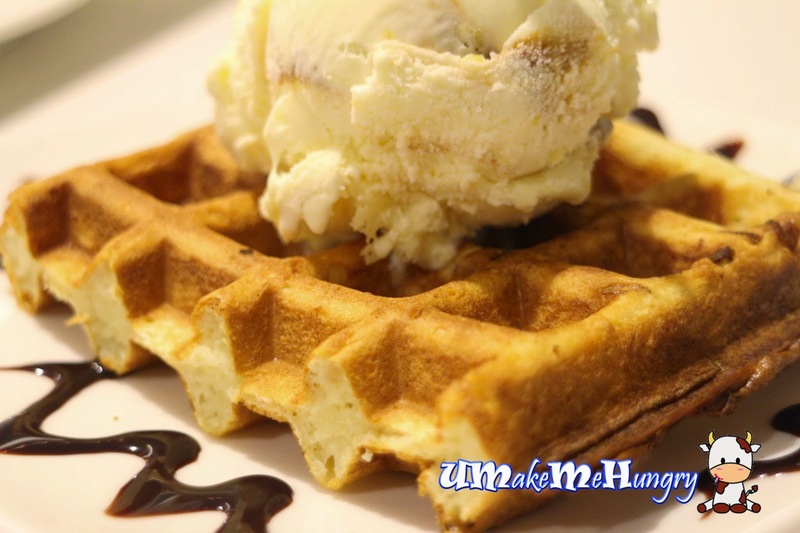 We wanted to have a taste of its ice cream so we ordered its mini waffle with a choice of the ice cream. 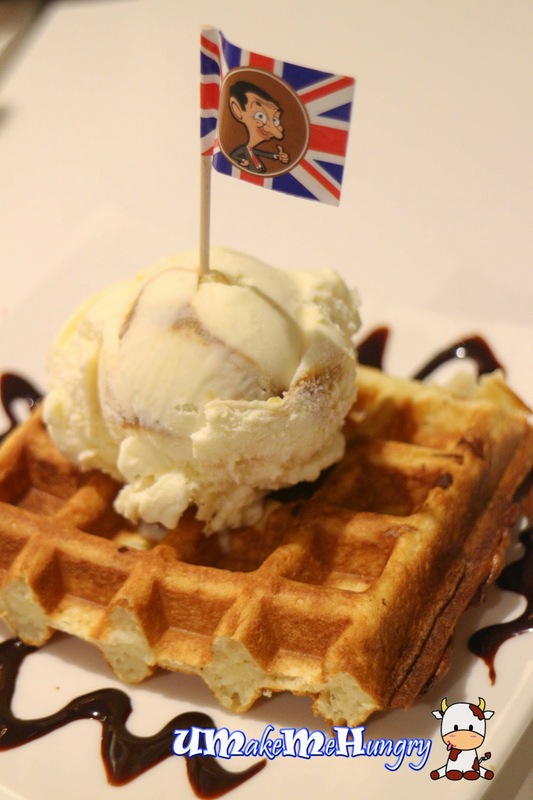 Sweet Corn Caramel blends in well the thick and fluffy mini waffle with a British flag featuring Mr Bean face piercing through the dessert. Simply love its decor as it sure induces some fond memories of the childhood. It is also a good spot to replay the comedies and watch them on the comfortable couches. However, due to such cosy and tech gadgets equipped environment, customers tend to occupy the seats a little longer even after they are done up with their snacking thus leaving incoming diners waiting in the queue. This place is recommended for families, couples and groups who wants to relax and get some inspiration over such ambiance.